Isla Marshall was born on November 10, 2015. Although she appeared healthy, she had trouble gaining weight. During the three-week check-up, the Marshall family expressed concern about Isla’s jaundice. Shortly thereafter, the family went to the IWK Health Centre in Halifax, Nova Scotia to meet with a paediatrician and have bloodwork done. 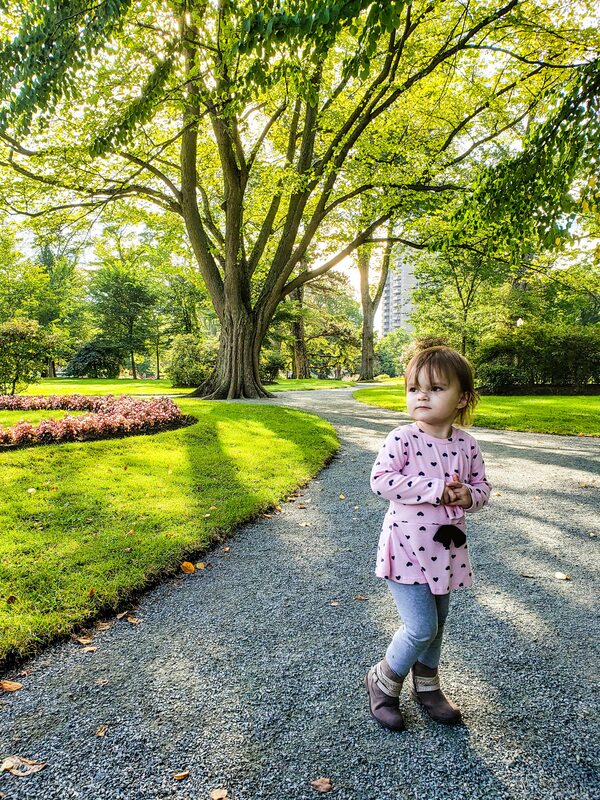 After all necessary testing, it was revealed that Isla had a rare liver disease called Biliary Atresia, which affects only 1 in 10,000 children in Canada. This rare disease affects the liver and bile ducts. Isla was immediately booked for a Kasai Procedure, a procedure that assisted with blocked ducts and prevents liver damage. In May 2016, Isla was readmitted to the hospital because of a swollen belly, which caused her to have difficulty breathing and sleeping at night. The healthcare team advised that a transplant was in the very near future and it was clear that an assessment by the transplant team at The Hospital for Sick Children in Toronto was imminent. The Marshalls were being assisted by a social worker who had them apply to the David Foster Foundation and the Ronald MacDonald House Toronto for assistance. Both organizations worked to take away the burden and stress surrounding the daughter’s assessment. During the trip, Kate, Isla’s mom, was tested as a living donor in the hope she would be a match to save her daughter’s life. The Marshalls’ received the call that they were waiting for; Kate was a match for Isla and the surgery was scheduled for June 30, 2016. The David Foster Foundation stepped in again to assist with the non-medical expenses associated with a child going through a transplant. Both Evan and Kate were on leave from work at the time and the financial stress was very real. Without the support they were provided, the family would have been unable to take the time they needed to be with their daughter. The surgery was successful; however, the post-operative period was rough. Isla was on mechanical ventilation for several days. Slowly as the week went on, both Isla and Kate recovered. By August, Isla and Kate were doing well and had been cleared by the doctors to go back home to Nova Scotia. Kate’s scar is looked at as a badge of honour and each day she is thankful for the gift she was able to give her daughter. Register to become an organ donor today, learn more here.